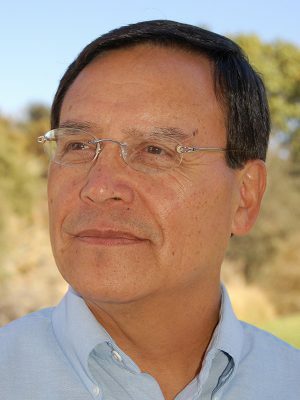 José Z. Calderón, Pitzer College professor emeritus of sociology and Chicano/a and Latino/a studies, has been named the National Association for Chicana and Chicano Studies (NACCS) 2019 Scholar, the organization’s lifetime achievement award. The son of immigrant farm workers from Mexico, Calderón grew up in a small farming town in northern Colorado. In his book Lessons from an Activist Intellectual: Teaching, Research, and Organizing for Social Change, he describes how his experiences inform his approach to teaching and community organizing. “My struggles with learning English and growing up in a poor immigrant farm-worker family became the foundations of language, labor and immigration issues that I passionately took up in my organizing, teaching and research as an activist intellectual in academia,” he writes. Calderón’s wide range of expertise includes urban and political sociology, race and ethnic relations, multi-ethnic coalitions, urban community development, critical ethnography and participant observation, language rights, experiential and service learning, and Chicano and Latino communities. In addition to his teaching at Pitzer, Calderón has been a leading activist in overlapping campaigns in the city of Pomona for immigrant rights and educational justice, such as ending police checkpoints, advocating for voting rights, creating alternatives to gang violence and promoting community schools. He has received numerous awards, including: the Ambassador Nathaniel and Elizabeth Davis Civil Rights Legacy Award; the “Dreamkeeper Award” from the California Alliance of African American Educators; the California Campus Compact Richard E. Cone Award for Excellence and Leadership in Cultivating Community Partnerships in Higher Education; the “Goddess of Pomona Award” from the City of Pomona, the Michi and Walter Weglyn Chair in Multicultural Studies at Cal Poly University, Pomona; and the United Farm Workers Union “Si Se Puede” award for his lifelong contributions to the farm worker movement. A recent TedX video, Finding Cesar Chavez: A Transformative Moment, was chosen as an Editor’s Pick nationally. As a community-based activist intellectual, he has published more than 60 articles and studies, as well as two books: Lessons from an Activist Intellectual, and Race, Poverty, and Social Justice: Multidisciplinary Perspectives Through Service Learning.